Hope. 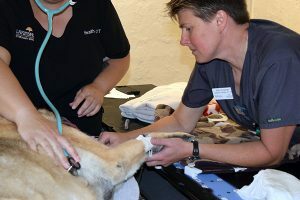 What a fantastic thing to offer clients when their pets are diagnosed with cancer! 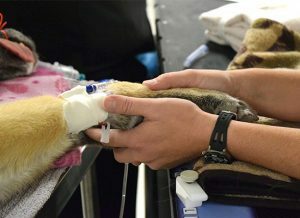 Here in Wisconsin, we are now treating pets and caring for their owners like they are part of our own family. 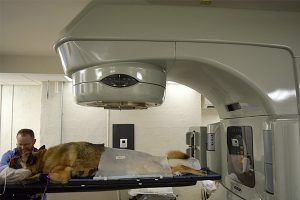 From brain tumors to pelvic cancers, our team is dedicated and ready to offer cancer care for pets with the chance for a cure. 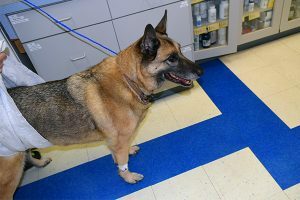 Take, for example, Brutus, an 11-year-old German Shepherd who was the first patient treated with stereotactic radiosurgery (SRS) by PetCure Oncology at Lakeshore Veterinary Specialists in suburban Milwaukee, Wisconsin. Brutus grabbed ahold of all our hearts when he shyly walked through the door. He trusted us and quickly became a staff favorite. Brutus is the first of many pet patients we will treat for cancer at our new location. It is our goal to provide a supportive, compassionate atmosphere for pet parents along with the innovative, life-changing treatment for their furry loved ones. We are there for them every step of the way, from the initial consultation to the day their pet finishes treatment, and beyond. Wow. We couldn’t have asked for a better start at our Milwaukee-area location. We look forward to providing the same care and service to many more pet owners throughout the region. 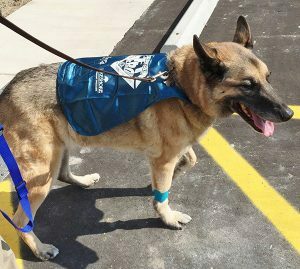 Brutus’s family found hope through stereotactic radiosurgery, or SRS, a type of radiation therapy proven successful in treating human cancers. With SRS, high doses of radiation are delivered with sub-millimeter precision directly to the tumor while sparing the surrounding healthy tissue. The unprecedented accuracy creates a higher level of effectiveness and efficiency, offering the chance for a cure and targeting many tumors previously considered “untreatable.” We are able to do this in fewer treatments with fewer and less-severe side effects than conventional radiation therapy. 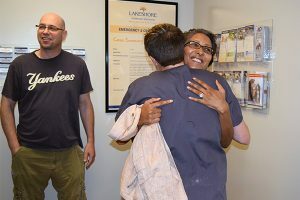 PetCure Oncology at Lakeshore Veterinary Specialists is the first of its kind in Wisconsin: a private, independently owned veterinary practice offering comprehensive cancer care that includes SRS. Amy Crisman, our full-time radiation therapist, is dedicated to battling cancer in these pets. A Wisconsin native, Amy is returning to the Midwest from Connecticut, where she worked in human medicine. She loves her new role in animal health. Her kind and compassionate demeanor, combined with her infectious personality, puts clients at ease. If you have a pet diagnosed with cancer, please do not hesitate to contact me. You can also learn more about our Wisconsin location here. 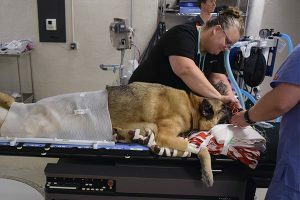 This personal blog entry was contributed by Sue Wojciechowski, PetCure Oncology’s program director in the Milwaukee region. 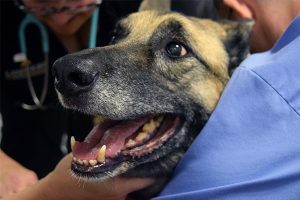 She is the proud pet parent of Marley, an 8-year-old Labrador retriever; Peter, a 6-year-old Coonhound Mix; and Gemma, a 2-year-old Dutch rabbit.